This week, I am able to share a bird’s-eye view of Standard backed by actual Magic Online data, something that I look forward to every Standard season. As always, a big thanks to Rolle for providing the statistics that let me have a real look at the format online. Here’s the breakdown for nearly thirty thousand games of Standard played over the past two weeks. Outside of the oddity of Naya in those numbers, most of these shouldn’t come as major surprises. I do wish we could see a better split on the Esper results, but there’s a ton of overlap, and then you have extremes with W/U Control splashing Dark Betrayal and Doom Blade, as opposed to full Esper Control and Mihara Esper Midrange. So you need to take those numbers with salt, but at least one of those strategies is putting up legitimate results. R/G Monsters has been the deck de jour for the past two weeks—and for good reason. Right now, it has the best win percentage online and is performing admirably in real life as well. The new builds have a good Mono-Black Control matchup, and W/U Control was always a close fight that favored R/G slightly because of Domri Rade. While I don’t think Born of the Gods changes that aspect much, the move back toward mono-haymakers for threats makes it difficult to pick and choose your spots to Supreme Verdict. Often, as a W/U player, you’ll be forced to make lousy decisions because, unlike the black builds, you simply don’t have spot removal to force overcommitting. Worse still is that you don’t really have the opportunity to push the opponent out of his or her comfort zone post-board. Everyone has four Stormbreath Dragons, and people typically keep in Mizzium Mortars, so you can’t rely on Archangel of Thune or Elspeth, Sun's Champion to dig you out of the hole later. God forbid the opponent rolls up on you with Ruric Thar, the Unbowed, which is just pure misery from a 6-drop. What needs to happen is a metagame correction against this deck before it becomes just another good choice. Right now, it’s the best deck in the format since black decks are still too interested in beating each other, many W/U Control decks are still configured against old aggro R/G builds, and Mono-Blue Devotion and most other midrange strategies can’t deal with the two big control builds. 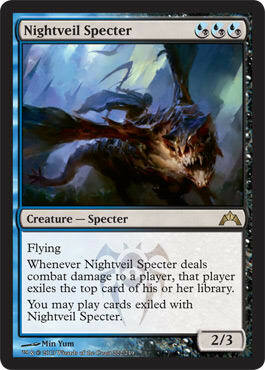 That means you don’t have a bigger midrange deck that usually kicks in when people decide to run this strategy. Last season, Junk Reanimator took care of this problem nicely and the solution later became R/G Aggro. Right now, we’re at the point at which either the pendulum will swing away from control and back toward Nykthos, Shrine to Nyx “combo” decks—or, at worst, we stick with what we have and people adapt their removal packages. Notably, Mono-Black Control did not make it over the 50% barrier and instead is stuck being very sad at its overall performance. This is a case in which the overall population is dragging down everyone else. We’ve seen with red decks before that even in mildly favorable metagames that “bad” red players did not considerably hurt the percentages. In MBC’s case, however, there’s a massive disconnect between the 60%-or-higher win percentage the best players put up with the deck and the mediocre results of the majority. A lot of this blame can be laid at the feet of two realizations. The first is that Mono-Black Control only costs 210 to 220 tickets to build, making it the cheapest top-tier deck by 100 to 200 tickets. Only Mono-Blue Devotion comes remotely close, and up until a few weeks ago, that was a bit more expensive. Mono-Blue Devotion has also become worse in the metagame over the past few weeks, and that has impacted its rare and mythic prices as players start to switch over. I’m beginning to tangent, however—the point is that MBC fulfills the role of the “red deck” of this Standard online metagame. Usually, the red deck is, well, a red deck that has a winning percentage above fifty and is cheap to build online. This makes it perfect for grinding Daily Events online, where a 3–1 record nets you a profit and you can also double-queue with less mental strain than with other strategies. You are able to maximize your time and profit despite the deck not being the best choice for the overall metagame. With the current cost of Mutavault, the difference between RDW and MBC is negligible, and Boros Burn only costs 50 tix less than MBC if it runs four Mutavaults. 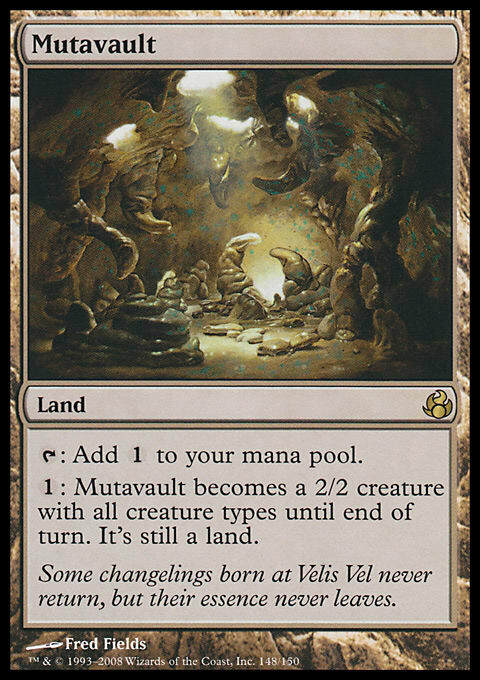 Buying a set of Mutavaults is a solid investment that goes toward every top-tier deck until the card rotates, and it is unlikely to lose value overnight. This means, when choosing a particular deck to play, if you assume four Mutavaults serve as the base and a cost you’ll have to pay anyway, there’s only a $50 difference between MBC and the burn deck. Considering the massive refinement the black deck has gone through over the past three months, why not just buy MBC? The second reason is that MBC has become a victim of its own success. Bile Blight was the obvious choice for MBC, and it did actually shift the mirror quite a bit by providing an effective answer to Pack Rat and Nightveil Specter. What it also did was give MBC a worse removal suite against everyone else, especially once Courser of Kruphix and Brimaz, King of Oreskos became the industry standard. Other things that affected this was the adoption of Dark Betrayal among decks that could splash black and more MBC decks becoming inbred against the mirror match. When you can nearly guarantee you’ll play against MBC once every Daily Event and often two or more times, going overboard in the mirror becomes a reasonable idea. What this also does is chop off a bunch of small percentage points in other matches since suddenly you may consider skimming a Duress or a Lifebane Zombie for something better against the mirror. Even worse is the advent of W/B Control, which only really exists to prey on MBC decks while keeping a similar game against other decks. This metagame call has grown to 6% of the online metagame! That’s a lot for a deck that’s only major edge is beating up other black strategies. Take the W/U shell, and then add the three of the best black cards in the format: Thoughtseize, Blood Baron of Vizkopa, and Doom Blade. If R/G Monsters is a deck to beat, having access to Ultimate Price and Doom Blade is a huge boon for a control deck that has little relevant removal below 3 mana. Even better is that it takes care of Stormbreath Dragon at instant speed, which any W/U player could tell you is a major issue now that your life total is under constant assault by Mutavault and even things like Ruric Thar. For a deck with no burn spells, dropping to low life totals doesn’t feel all that safe, and the black removal is a wonderful cushion. As for the previously-mentioned Naya, it’s possible there’s a dark-horse Naya Midrange or Naya Hexproof deck floating around that’s doing well. For example, this recently 4–0’d a daily in the hands of chienmingjen. Not trying to interact is a hard thing to do in this format, so YMMV when you’re still forced to use creatures. I also think Eidolon of Countless Battles should be in here, certainly over the random Fleecemane Lion, but outside of that, I have few complaints. This is the kind of deck I’ve been messing around with in my spare time but that haven’t I bothered playing a lot online. This may be the sign to start doing so and see how it stacks up. If you grind on Magic Online, I hope you now have a better understanding of where every deck is currently. If you want to jump in and buy a deck soon, I would definitely consider one of the top choices unless you’re on a budget and don’t mind playing MBC until you become very good at it. That’s all for this week—until next time!